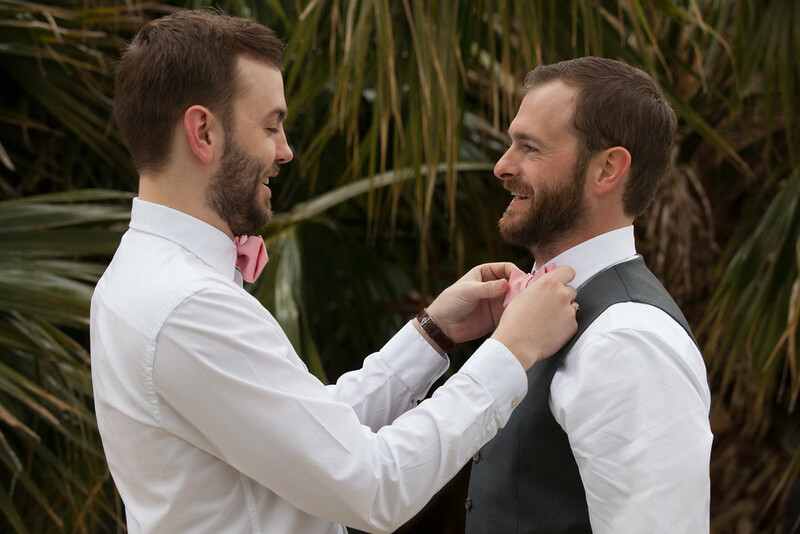 Not long after Derek proposed to his lady did he ask if I would make the wedding bow ties for him and his groomsmen. Of course I would! I wanted to, really. 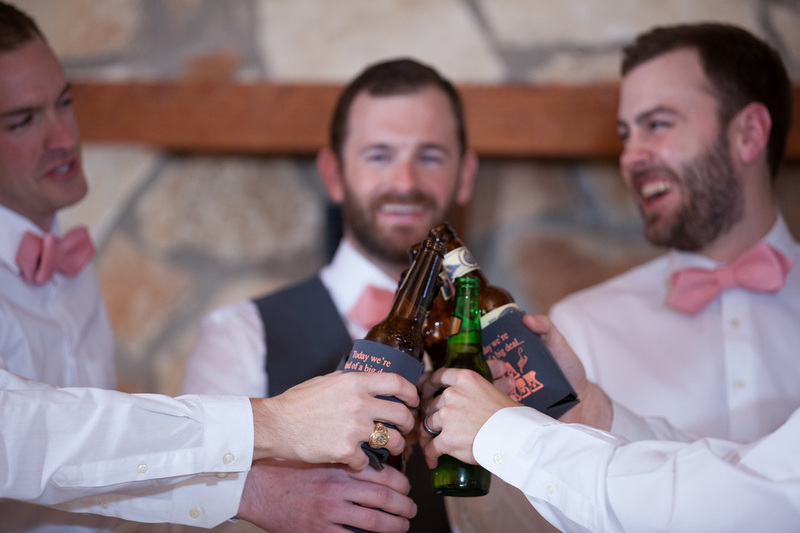 This was an opportunity for me to do something unique for Derek, and I knew the fellow groomsmen would be psyched for them. On a side note, Derek and I actually both got engaged on the same day last year, completely unplanned. Their primary wedding color was coral, which is a tricky color when looking for fabric since everyone has a different idea of what coral is. 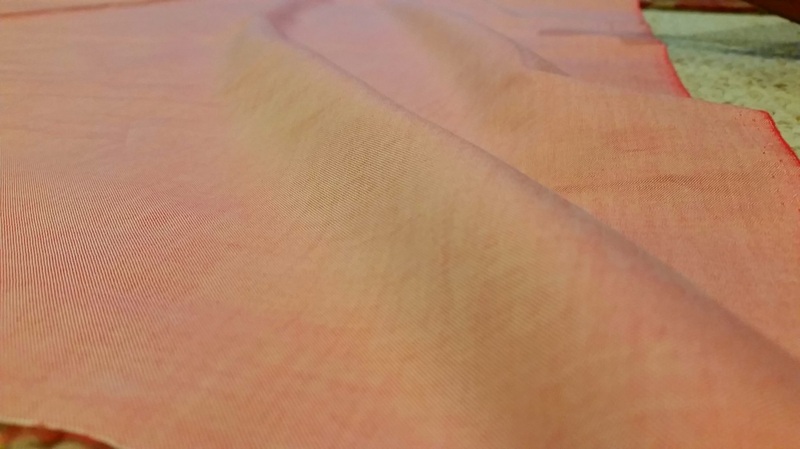 After ordering a number of fabric swatches from different places, we settled on an oxford cotton fabric that most closely resembled the color they used for decor at the wedding, but is more pink in tone. 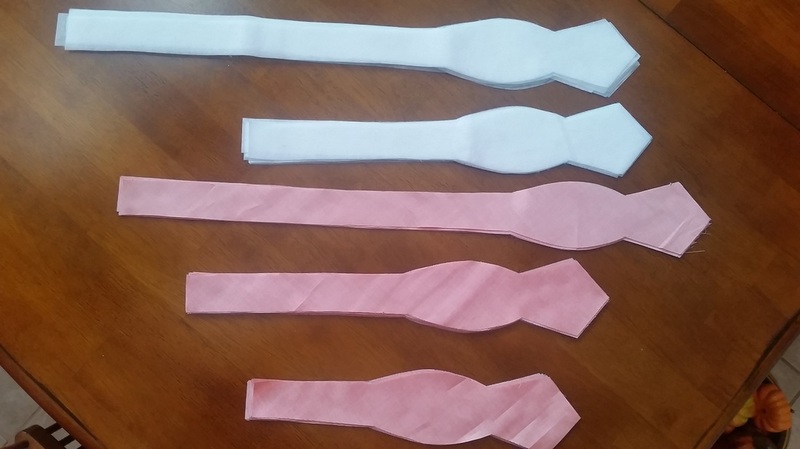 7 bow ties needed to be made, so I spent an afternoon tracing/cutting fabric, sewing on neck ribbons, and ironing on interfacing (the white fabric in the photo below) to the appropriate pieces. 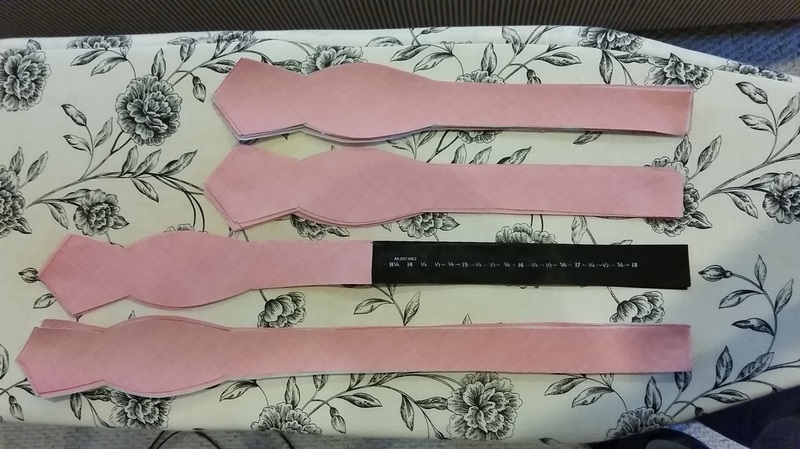 The interfacing is key because this gives the fabric some thickness and strength so that the tie is actually wearable. I left the actual sewing for the following two evenings. 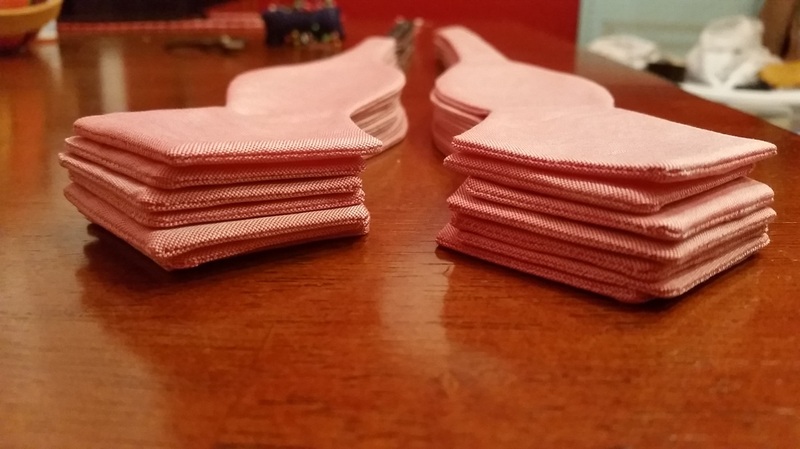 These pieces are sewn inside out and are then flipped right-side out and ironed flat and flush to the seams. 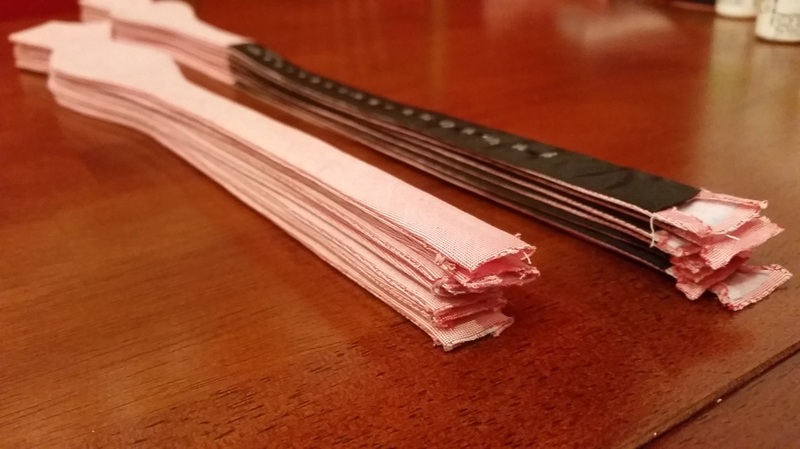 I use a skinny wooden rod I got at Home Depot and a chopstick to flip the pieces right-side out and taut to the seams. 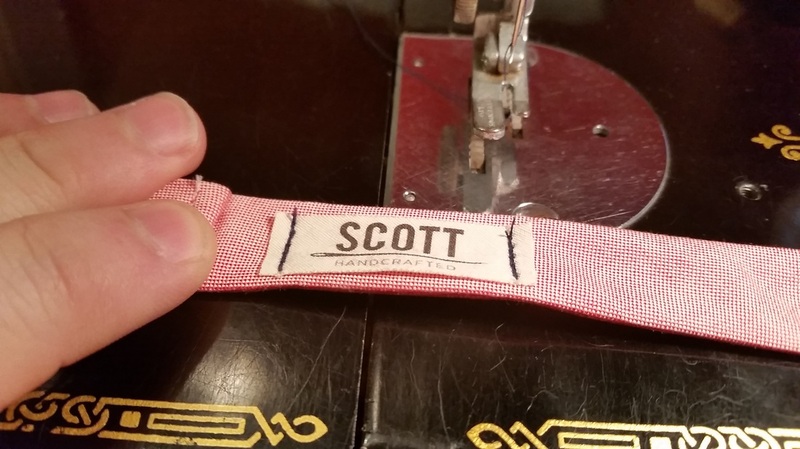 All that was left to do now was apply the hardware and sew on my label! 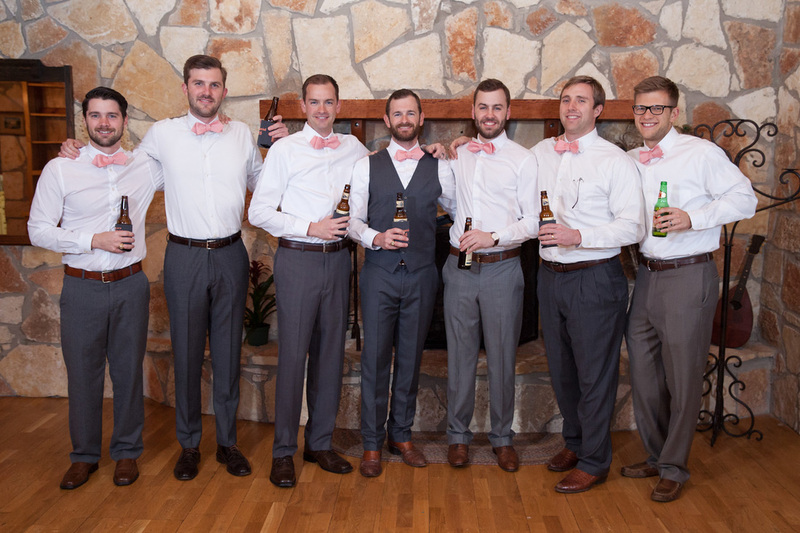 As expected, the wedding was phenomenal and the groomsmen looked super dapper in our bow ties. I was the only one who knew how to tie them, so it was my duty to tie them on all the guys' necks. 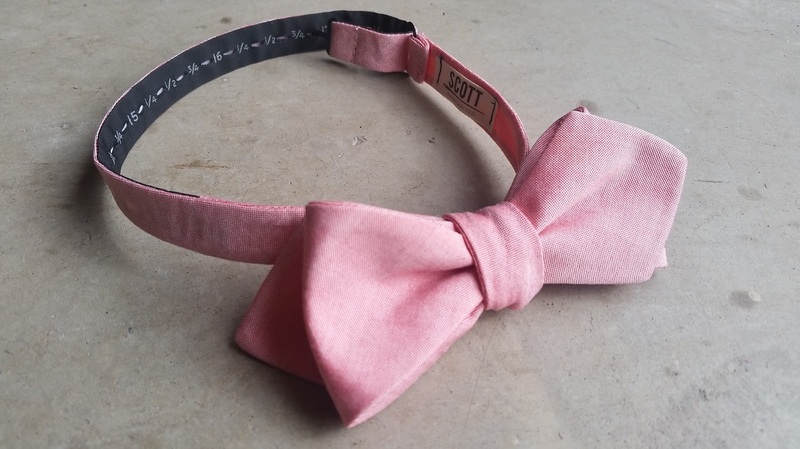 Interested in purchasing one of my bow ties? Check out newly launched brand, Neat Pineapple! The Strittmatter brothers: Sean, Derek, & Scott.